Apply Online for Apply Online/ Offline for Director (Technical) Post in Department of Personnel & Training, IREL, New Delhi on Absorption. 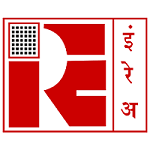 Online Applications are invited by Indian Rare Earths Limited (IREL) from 15 Apr 2019 to 21 Jun 2019 till 03:00 PM for 1 vacancy. Applicants should have adequate technical/ operational experience at a senior level of management in a large organization of repute, out of which at least two years during the last ten years should have been in the field of Mining/ Rare Earth Industry or dealing with Chemical Production/ projects. • Max- 2 years of residual service as on the date of vacancy w.r.t. the date of superannuation. • Max- 3 years of residual service as on the date of vacancy w.r.t. the date of superannuation. Eligible candidates may apply online at Mazagon Dock's website (direct link is given below) from 15 April 2019 to 21 June 2019 03:00 PM. • Before applying to Online Applicants have valid email & Scanned copies of photo, signature. • Now Click on “New User”, if you are a new user. • Complete the Registration & Click on “Submit”. • After Registration, Log in with Registered Number & Password. • Fill all details in the application & upload Photo, Signature. Eligible candidates may apply offline by sending application form along with all the necessary documents to Smt Kimbuong Kipgen Secretary, Public Enterprises Selection Board, Public Enterprises Bhawan, BlockNo. 14, CGO Complex, Lodhi Road, New Delhi- 110003 on or before 21 June 2019 till 03:00 PM.